The widely popular Snake Boat races of Kerala draw millions from around the world. It's a sport that brings together people from all religions and celebrates the inclusive society of Kerala. The Snake Boats in Kerala are not just mere boats. They are temples of secularism, bringing people from different walks of religion and life together. 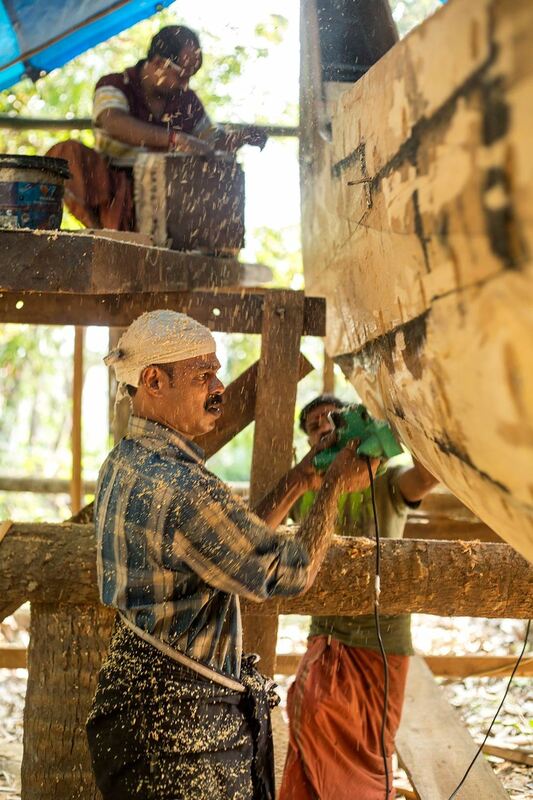 Hindu, Muslim or Christian, all follow the ancient scripture’s (Sthapatya Veda) instructions to design and craft these gigantic masterpieces of pride.It takes over 365 days to build a chundan boat. They vary from 100 to 138 feet in length.A core team of about 10 men build the boat.The Chundan resembles a snake with its hood raised. 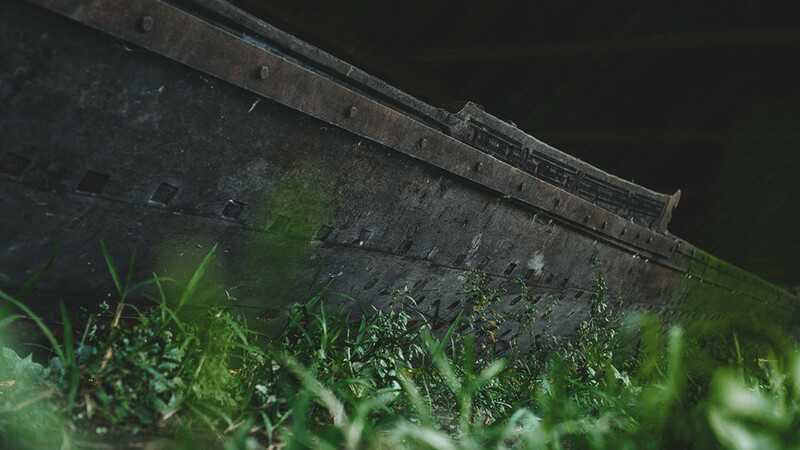 We at Untold were curious to find out how and where these beautiful and gigantic boats were made. In the quest to find the answers, we stumbled into not just the making but multiple legacies of the boats and the craftsmen who make them in a small village called Champakulam.On a bright early morning there, we wake up to the music of the mangroves kissing the fleeting tide of the backwaters and head to a workshop by the river – a place that is guarding an intricate legacy of the famous Kerala Snake Boat Race and home to the legendary Nadubhagam Chundan. Nadubagham Chundan in 1952, won the maiden trophy of the first ever Snake Boat Race in Kerala. A sport that has defined a great part of Kerala’s heritage for years.As fate would decide, the boat’s first time was also the last time it held the trophy. Every year of losing left scars of endurance that couldn’t be fixed and cracks that were better left open. After aging for 61 years and carrying its unique legacy, Nadubhagam Chundan was put to rest last year. 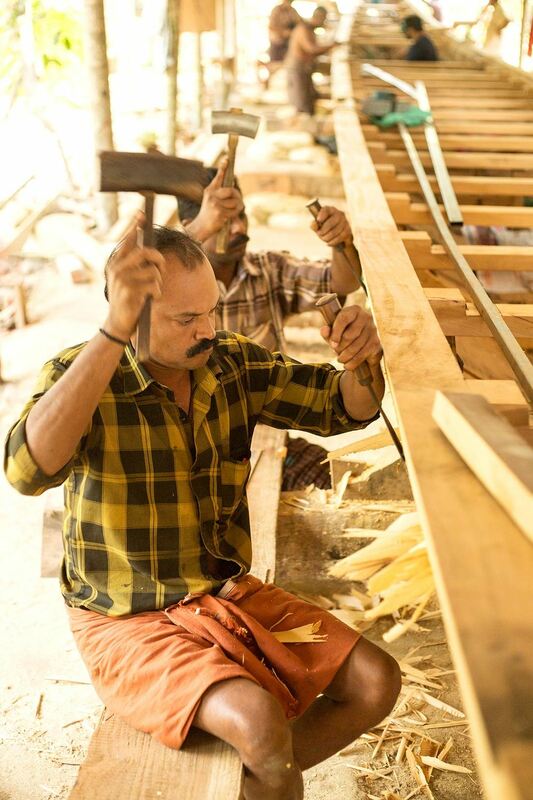 Sabu who is leading the build is the son of the legendary carpenter Narayana Achari who built the old Nadubhagam Chundan. And just like the boat he is building, he carries a legacy on his shoulders that he is constantly reminded of by the tales of his father’s mastery in the art. Nadubagham Chundan won the maiden trophy of the first ever Snake Boat Race in Kerala at 1954 and it has been competing on the waters till the last year. After aging for 61 years and carrying its unique legacy, Nadubhagam Chundan has been put to rest last year and kept as a shrine since then. She carried the spirit of the race on her shoulders. The weight never let her win the trophy again. Now the beacon needs to be given to the future! Sabu who is leading the build of the new Chundan is the son of the legendary carpenter Narayana Achari who built the old Nadubhagam Chundan. 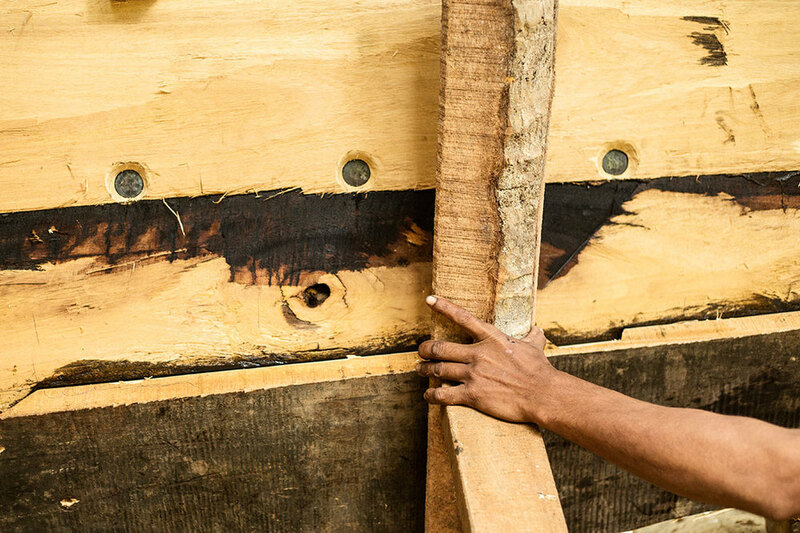 Just like the boat he is building, he carries a legacy on his shoulders that he is constantly reminded of by the tales of his father’s mastery in the art. 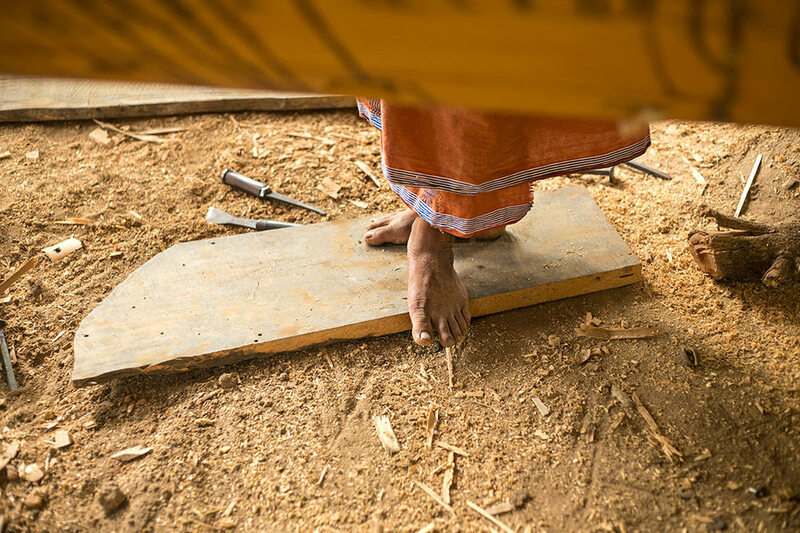 Sabu and his talented team chipped wood to reveal beauty and beat the nails to customary music you couldn’t help but tap your feet to.